Mobiles are the neediest thing in today’s world of technology. Mobiles are the best thing to keep in touch with friends, relatives and family but when the mobile is become useless than we put the phone in the drawer and made the device just a dust and waste. Mobile is skeptical for the environment as it is made up of copper, mercury, plastics, lead etc. 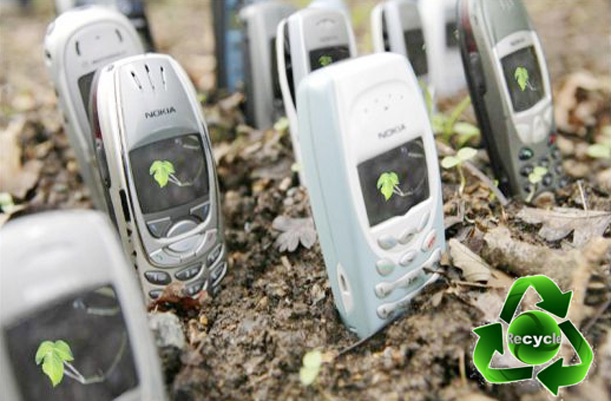 Recycling the cell phone is not only helpful for environment but also save lot of energy. As per the information, a cell phone recycling would be able to power a laptop for around 2 days. If mobiles are just thrown away as wastage then its toxic materials and elements may harm human being and animals. It also could spread many diseases in environment. These mobiles, if recycled, it could produce enough energy and would be reused for manufacturing. Here are some simple steps to follow for recycling mobile naturally. 1. Donate your old mobile for some cause – If your phone is not in use for anymore, then donate your handset for some healthy or useful cause instead of keeping the phone with your home’s wastage. You can donate your phone for some charity or donate it to military for helping soldiers that are far away from their homes and on the field. You can also donate the mobile to victims of domestic violence or to such programs. Some organizations provide the facility of recycling your mobile for charity. 2. Return back the mobile to its service provider – You can also return your mobile to your service provider. Many service providers have some program or bins to recycle the mobile. 3. Send back the mobile to recycling center – You can move to any mobile recycling center which can recycle your phone by returning your mobile phone to the manufacturer or will dispose toxic elements of your phone and use it for generating and save energy and it will help the environment.